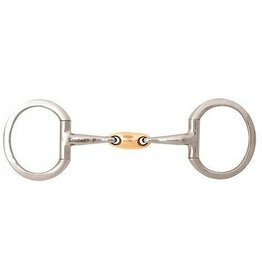 Developed in conjunction with world-renowned trainer and jockey John Patterson, JP bits provide the utmost comfort for your horse. 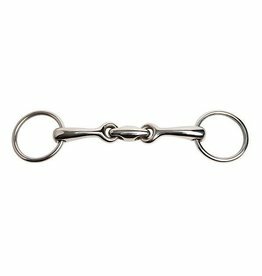 JP Bits by Korsteel provide the ultimate communication between horse and rider. The exclusive curved design provides comfort and enhances performance. 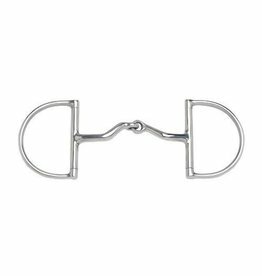 Give your horse extra tongue room, while still getting the signal you want from a single joint bit. The Korsteel® brand offers the finest hand-polished stainless steel for maximum luster and brilliance and classic cast construction for precise balance and performance. 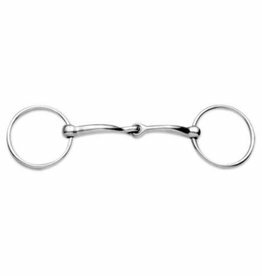 Avoid the "nutcracker" action of a single jointed bit, and encourage salvation with the copper oval joint, for better comfort for your horse! 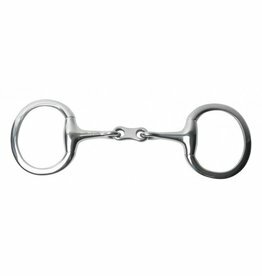 Quality stainless steel, and an innovative design, this bit will encourage suppleness and softness. 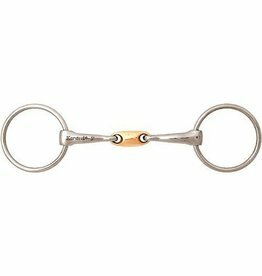 Thick, kind, double-jointed Oval Mouth Loose Ring with curved bars eliminates "nutcracker" tongue pinching and encourages the horse's chewing motion.